David is coming to New Who for the first time, having loved Classic Who as a kid. Tehani is a recent convert, and ploughed through Seasons 1 to 8 (so far) in just a few weeks after becoming addicted thanks to Matt Smith – she’s rewatching to keep up with David! Tansy is the expert in the team, with a history in Doctor Who fandom that goes WAY back, and a passion for Doctor Who that inspires us all. Pirates and swords and sirens, what more can you ask for? I quite liked “Curse of the Black Spot”, which just goes to show I continue to be completely out of touch with conventional fan wisdom! Say it with me: “Conventional fan wisdom can bite me”! I also love that whooshing sound deadlines make as they fly past! (with apologies to Douglas Adams, of course). I’ve come to appreciate the Dread Pirate Episode because it’s Raeli’s favourite of this season, and it has Kenny from Press Gang in it, but mostly because of Amy in THAT outfit. It’s a sincerely awesome outfit. And here we are, at the episode that started it all for me. Not that it’s WHERE I started watching, but it is WHY I started watching. If there is one thing Moffat does well, it’s seeding teeny pieces of narrative along the episodic arc to lead towards a climactic ending. Amy’s observation that the Doctor wants to be forgiven for what he did to the Time Lords, SO MUCH FORESHADOWING! 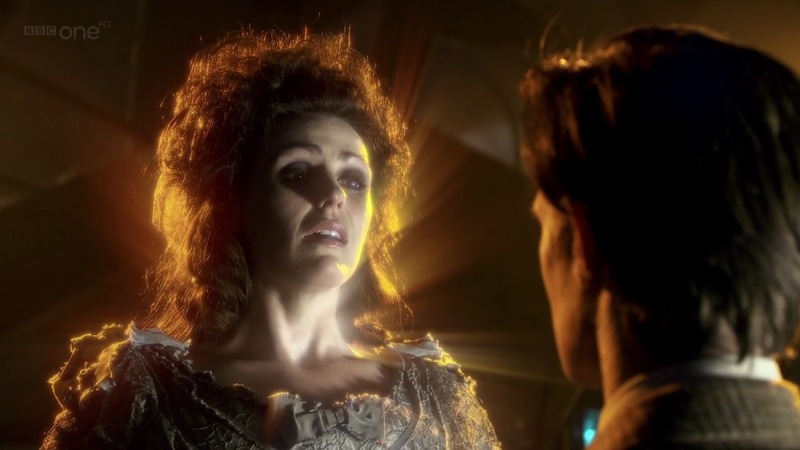 For me, the best part of this story has to be the performance of Suranne Jones as Idris/The TARDIS – she is astonishing, and has forever enshrined in the minds of fandom what the consciousness of the TARDIS looks and sounds like. It’s a bonus that she looks like a character from a steampunk story… Cosplay ahoy! Idris is a fascinating character, and Suranne’s performance is wonderful. I love the idea of a TARDIS being a living creature, though it is not a particularly new idea. It’s certainly something I have come across in the novelisation/New Adventures (after writing that, I tried to track down what I was talking about, but I think I may have gotten the character confused with I. M. Foreman. 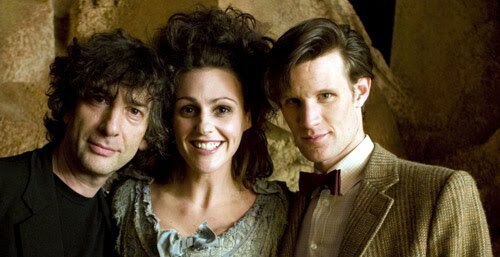 I seem to remember the Doctor meeting a woman on a hill who had a universe in a bottle. Perhaps our Who expert, Tansy, can shed some light?). I had stopped reading the New Adventures/EDAs regularly by the time the intelligent and humanoid TARDISes entered the story, though I have read one or two featuring the companion Compassion who was actually a TARDIS-in-waiting, I think. Still, getting to meet *our* TARDIS is still a pretty big deal. The twist I really liked was that the TARDIS stole the Doctor, not the other way around. It really does say volumes about the Doctor that his perception of such a foundational event is completely wrong! But, we all suspect that we have never gotten the *true* story of how the Doctor came to be travelling the time-space continuum, right? But, the TARDIS being a living creature really does make sense when you look at their interactions over the years. The Doctor has always treated the TARDIS with a fondness, and always tried to cajole rather than command, that speaks of more than simply the sort of anthropomorphisation directed at ships or cars. That blew my mind when I saw this episode – it’s pretty rare to watch a Doctor Who story that completely changes the way you view the stories that came before it, all the way back to 1963. (though I have to say, it’s more common than it used to be) I loved that our TARDIS became so real in this story, and that it added something so enormous to the mythology. I always enjoy stories that explore the nature of the TARDIS, and its ability to reconfigure itself – sorry, herself! I think one of the reasons I fell in love with Doctor Who was this idea of such an amazing craft. More than just a spaceship, bigger on the inside than on the outside, it is the sort of thing that a young viewer finds hard to resist. The only other craft I think of that filled me with even a fraction of the same yearning was the spaceship from Flight of the Navigator! One trick I think they missed, though, was when they go to the spare console room. That would have been a perfect moment to break out one of the Classic consoles, and the old white walls. In a show with the rich historical fabric of Doctor Who, it’s touches like that which can really “show” not “tell” those links with the past. I agree with you on this one – it must have been a production decision, but the story calls so hard for the white walls with roundels, and I’m sure that’s what it will look like in the imaginary Neil Gaiman novelisation that we’re never going to get to read. There were some great scenes in this episode, too. When the Doctor opens the cabinet and discovers he has been tricked, you can see the hurt and sadness and RAGE. It’s at that point I almost felt sorry for House because I knew that it was in for a world of hurt. Almost. I was disappointed too! Any hint that we’re going to get Time Lords in the new show brings a frisson of excitement with it (yes even after The End of Time) and the idea that so many have been horrifically disposed of is very sad. Worth a shout out for a couple of interesting details: previously-never-mentioned-before Time Lord the Corsair is namechecked in this episode (aww they do love their definite particles) and specifically mentioned as a Time Lord who changed gender with regeneration. This is the first mention of this possibility in TV canon. Also, the little white flying communication boxes are a thing from 1969 classic story “The War Games”. It had previously been teased that this episode would include SOMETHING we hadn’t seen since that story, and the little boxes were a bit disappointing for those of us who were peering suspiciously at the characters to figure out which one was The War Chief, or Lieutenant Carstairs. Personally, given my own connection with this story, I’m a bit surprised I don’t have more to say about it! I think it’s mostly “gleeful flail” when I think about the episode, without a lot of critical view. I always have to double check that House isn’t voiced by Neil Gaiman (it isn’t, it’s another one of those delightful sounding British (Welsh) actors). I wonder how different the episode would have been if they had managed to get it into season five instead of this one, as was originally intended? What would that have done to that season (which we all quite like) as a whole? 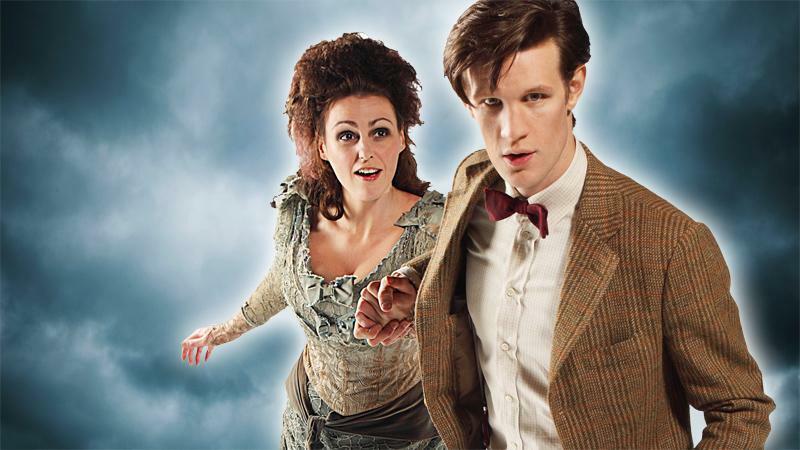 “The Doctor’s Wife” won the Hugo AND the Ray Bradbury Award for Outstanding Dramatic Presentation – how much of that do you think is the “Neil Gaiman effect” and how much is due to the episode itself, do you think? That is interesting! The first thing that comes to mind is that I don’t think that it would have deserved the Hugo in Season 5, as I don’t think it is stronger than a number of episodes from that season. It’s certainly a very good episode, but I am not sure it is a GREAT episode. Which does lead on to your next question. It is a bit hard for me to comment as I am not far enough into the season to say if this is the best episode in Season 6, and whether it deserved the Hugo (which is a very subjective call, anyway!) over any of the others. To be honest, I hope it’s not the best, because I loved Season 5 and can think of four episodes from it off the top of my head that are better than this one. Neil Gaiman certainly does have a massive fan base, but you’d like to think people vote beyond that, and if something wins it obviously resonated with lots of people. So, maybe it’s just me! Looking at the other entries, there are two other episodes of Doctor Who and an excellent episode of Community (another show I got on very late!). With all due respect to Chris, who is a great guy, I don’t think an acceptance speech should have been nominated, let alone won. So, is this better than the other two episodes, or the Community one, or did the Gaiman Effect push it over the line? I’ll probably have a better idea by the end of the season. And I have to say something about the title – designed just to set the fannish tongues wagging? Well, it doesn’t take much, does it? Another piece of fannish history here – this title first got used in the 80s as a deliberate fakeout, left on a whiteboard to see if anyone on the production team was leaking info to the fanzines. So it started out as a provocative tease and is being used here in just the same way. If you haven’t seen it before, the point at which you realise that this episode isn’t about River Song but about the TARDIS is pretty awesome and brain-explodey. The Doctor: You didn’t always take me where I wanted to go. Idris: I’ve been looking for a word. A big, complicated word, but so sad. I found it now. The Doctor: Alive isn’t sad. And with that, this review is over too. But we’ll be back!